Part of the Signature Collection by Heathfield & Co, the Ellington Wall Light perfectly combines both form and function. 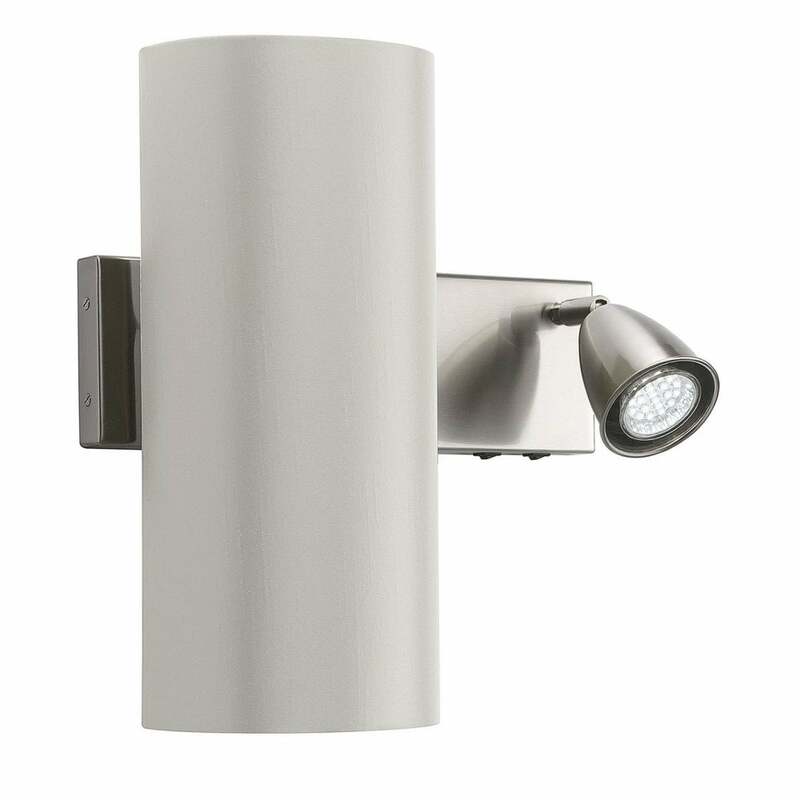 Available facing left or right, this sleek light features a polished, satin nickel backplate design with two light sources. Light exudes from both an elegant cylindrical shade and an adjustable spotlight fitting. The spotlight utilises a swivel for easy adjustment. Ideal for dimly lit corridors or to enhance artwork and character features, the Ellington Wall Light will suit a wide range of interiors. Make an enquiry for more information. Priced for 06″ Long Crescent shade with silk outer and white pvc lining. Other options available.